It is well says that teacher teach what on the book, but students make the new version of that. 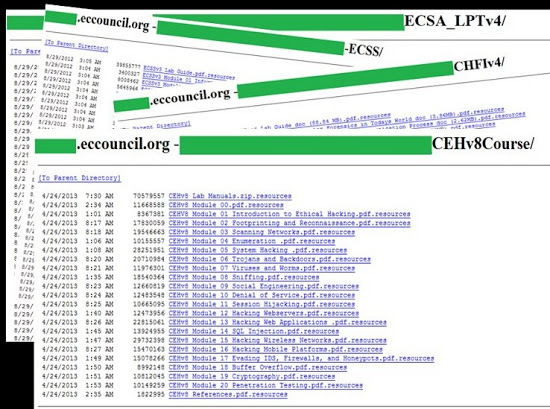 Today a well know IT Security and CEH providing firm "EC-Council have got hacked. EC-Council is popular for its professional Certification on IT security and Certified Ethical Hacker (CEH). A Hacker name a Godzilla, who have breached the security of the Pakistan Government website few months ago have once again breached the security of EC-Council website. Hackers claimed to gain access to admin portal of the site and accessed all the course material of the CEHv8,CHFIV4, ECSS,ECSA_LPT4 as per the ETH post. This shows that no one is 100% secure in the cyber world. Hackers mention to have multiple types of vulnerabilities on the site, but he have not mention the specific vulnerabilities.